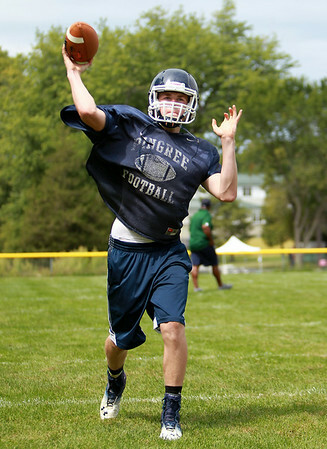 Pingree junior quarterback Griffin Beal will be the signal caller for the Highlanders in 2014. DAVID LE/Staff photo. 8/21/14.